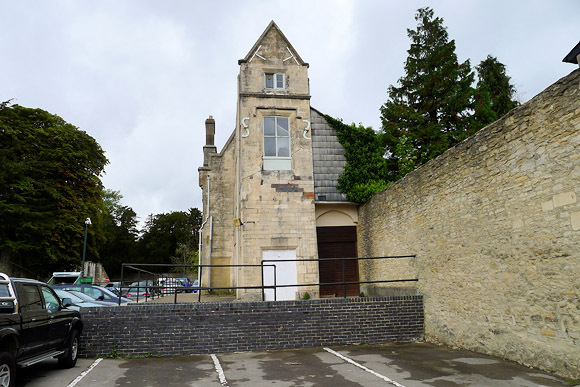 Now stranded in the middle of a car park in the centre of town is the remains of Cirencester Town railway station, a rather fine two-storey building designed by Isambard Kingdon Brunel and R.P. Brereton, his resident assistant. 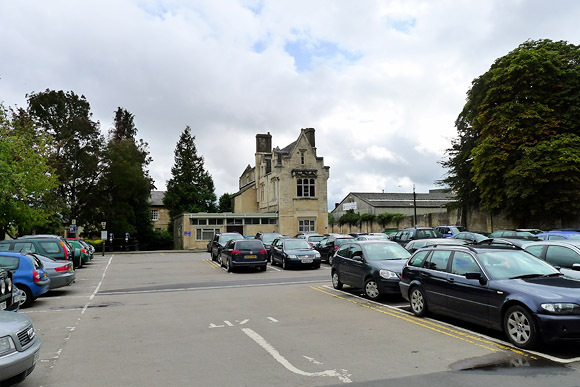 Opened by the Cheltenham and Great Western Union on 31st May 1843, Cirencester was the terminus of a four mile, broad gauge single line from Kemble. The line was swiftly absorbed by the Great Western Railway within a month or so of opening. 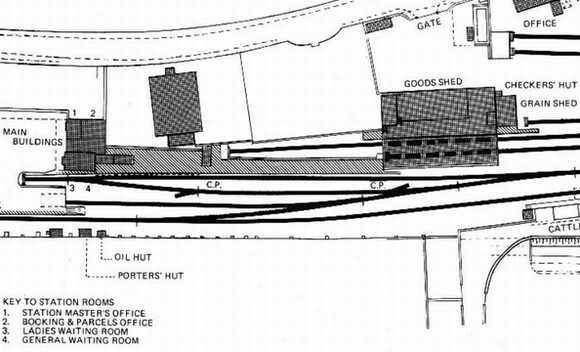 Renamed Cirencester Town in July 1924, the station boasted an extensive layout, with the single passenger platform being supplemented by large two road goods shed, a single road engine shed, cattle pens, a wagon loading bay, four storage sidings and an intriguing-sounding pig wharf. Trackplan detail from [Great Western Archive] – click on the image for a larger version of the graphic. 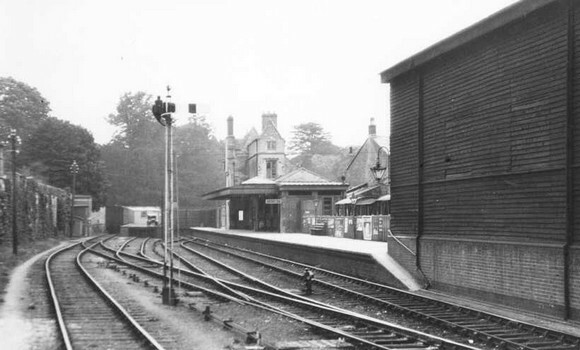 The station originally boasted a small overall roof, but this was replaced by a standard canopy in 1874, leaving the building looking oddly slender. Note the shortened remains of the passenger platform in the photo above. 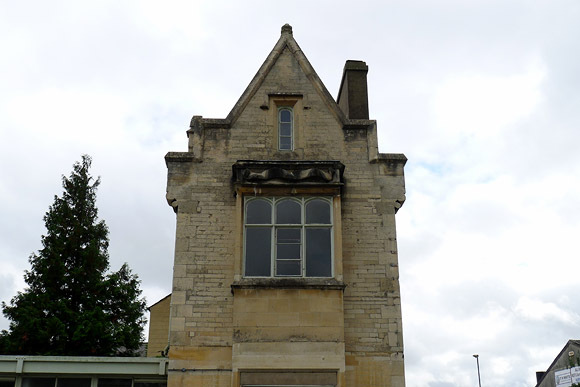 Cirencester Town is a good example of Victorian railway Gothic – my favourite architecture! 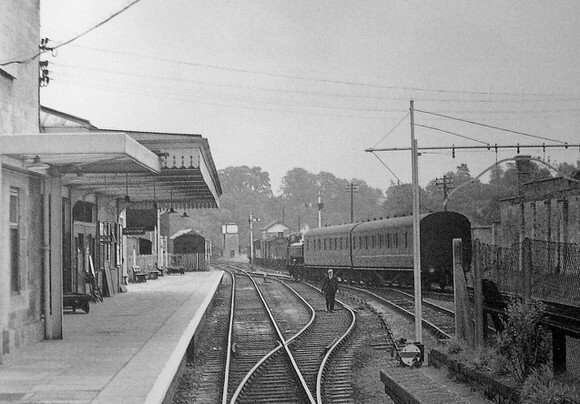 The station enjoyed a partial rebuilding in 1956, with architect H. Cavanagh taking care to match the existing building by using Bath stone for a new ticket office and waiting room. 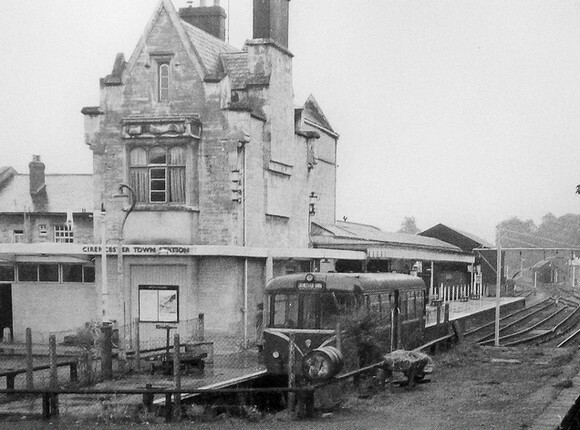 Despite the investment, the line was still threatened with closure in 1959, with British Rail Western Region attempting to bring down costs by introducing a diesel rail bus service. By all accounts, this was something of a success, prompting the opening of new halts at Chesterton Lane in 1959 and Park Leaze a year later. It seems that this still wasn’t enough to save the line, and despite a concerted local campaign, passenger services were withdrawn on 6th April 1964, followed by complete closure on the 4th October 1965. Similar modern view – the 1956 extension is to the left. 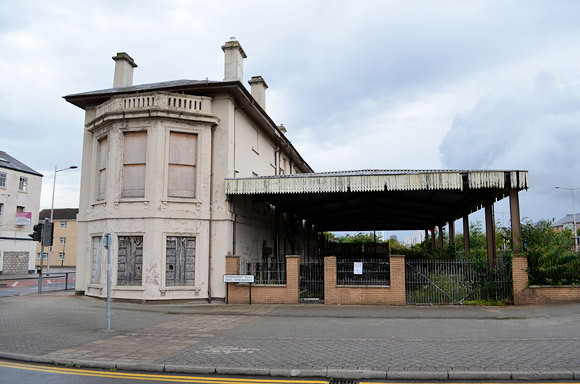 Although it looks in fairly ropey condition today with some tatty modern additions, the station is a Grade II listed building. A small section of the platform still exists. Shame the trains have gone. 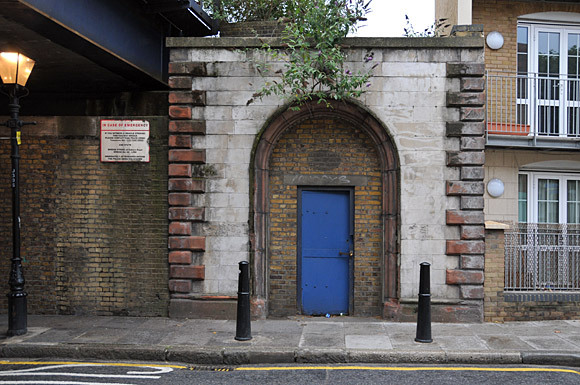 Platform detail showing closed up entrances..
Bricked up entrance to the original booking hall. Looking towards the junction at Kemble. Archive view from 1958 [via]. 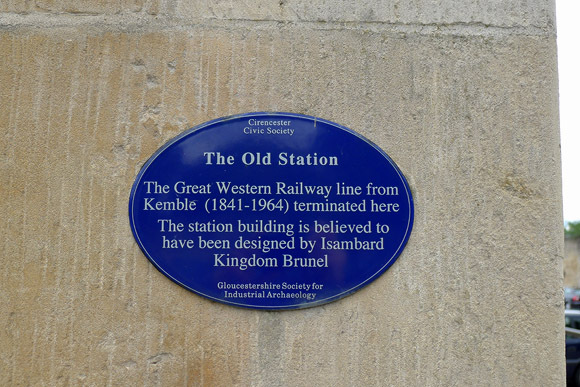 Although the Gloucestershire market town was once served by three stations, none survive at Cirencester, with the nearest railhead now being Kemble, some four miles distant. 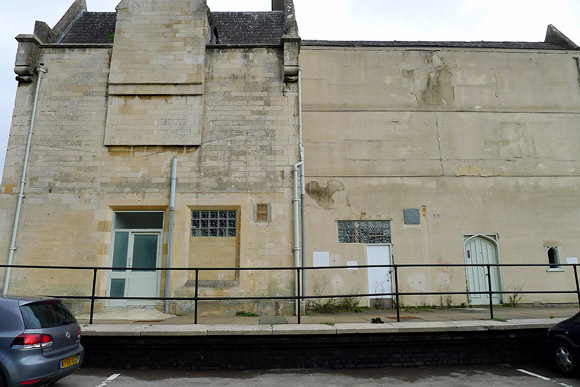 There are no plans to rebuild a railway into Cirencester. 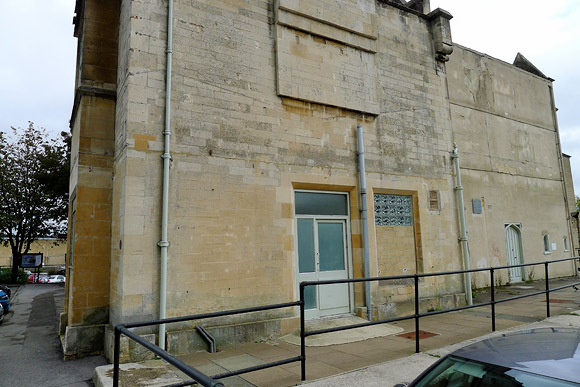 Thanks for all this information about Cirencester Station. 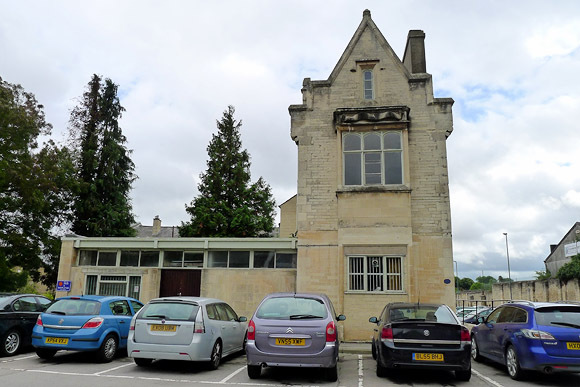 My great-grandfather, Joseph Wilkinson Cammock worked on Brunel projects and on the 1841 census was living temporarily in Dollar Street, Cirencester as a “bricklayer” so probably had a hand in building this edifice! He lived in Swindon just prior to this and Stonehouse for a few years after 1841 so seems to have moved to wherever there was a Brunel building being constructed. I was a railway enthusiast in the 1960’s and often heard of this line and of its closure. I am really pleased to have seen these pictures after all those years and will now make an effort to visit the site. How sad that those short-sighted decisions left towns cut off from the railway system, we knew that it was wrong then as is much of what is being axed today will also be regretted. Interesting that it always seems to be the same political party that does it, or am I being just a little bit cynical? Thanks for the pictures and history. Thanks for these wonderful old pictures and the history. 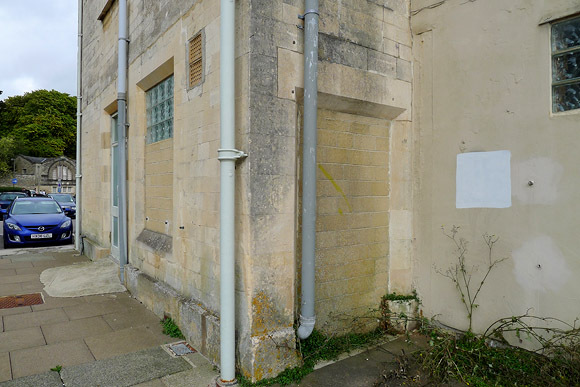 I was born and bred in Cirencester (and still live here) and was just a baby when the station closed, so don’t remember the station operational. Oh, I wish the line could be re-opened, or the station building renovated at least! So glad to have seen these photos. 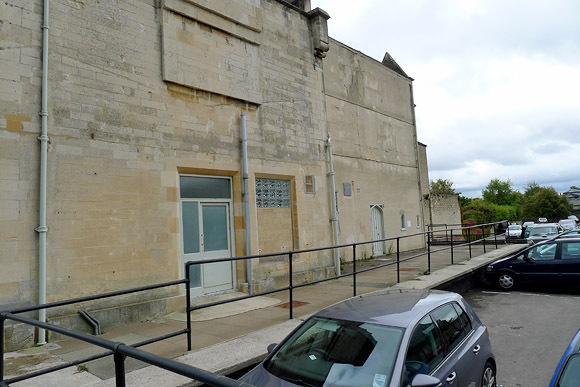 Three stations?.We had Cirencester town and Cirencester Watermoor.Where was the third?. According to Wikipedia, the third was Chesterton Lane Halt. Chesterton Lane halt was nothing more than a “Bus Stop” less than a quarter of a mile from Cirencester town station on the branch line from Cirencester to Kemble.By no stretch of the imagination could it have been called a station,being just a rough built wooden platform by the side of the railway. The town centre GWR station (Cirencester Town) is considered by many people to be an ugly eyesore of a building that is only preserved because of a tenuos link to the the great I. K. Brunel.Cirencester Watermoor,on the other hand,was a superbly designed and very asthetic building that was destroyed in order to build a bypass.If modern planning laws were about in 1973/75 when this building was bulldozed,then it would not have been destroyed,as Watermoor was far more significant,in terms of importance to the town than the town station.which was just a terminus.The GWR always regarded the M&SWJR,which was a through line from Cheltenham to Southampton, as an interloper within it`s territory and took great delight in running it down after it gained control of it in 1923,shutting down the workshops ,which covered an extensive area,in 1925.There is virtually nothing left of the watermoor line,apart from a few embankments and still visible tank traps,designed to be pushed onto the tracks in the event of a german invasion during WW2.Such a loss of an important piece of Cirencesters history,which had to go in favour of the motor vehicle,a form of transport which is slowly,but surely,choking this country to death. 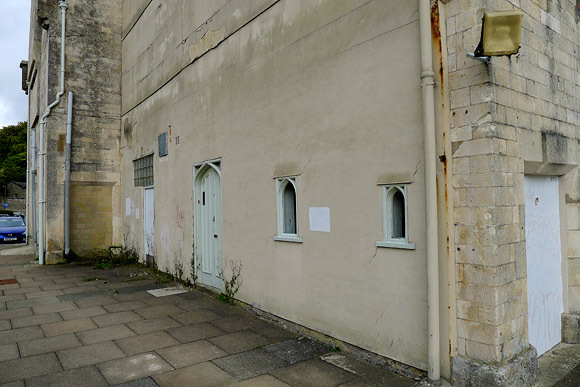 Having discovered Cirencester Town station this past weekend I think it looks sadly neglected and forgotten and yet has the potential to become another asset to this wonderful town, for a start the 1950s extension needs to be ‘sorted out’ and the canopies should be reinstated, beyond that if a suitable tenant can be found I am sure it could be an attraction in it’s own right. A rare survivor from the dawn of railways and still very much recognisable as such. If only the track could be re-laid up to Kemble..
By a remarkable coincidence I was at Westbury (Wilts) station today and a gent queuing in front of me inquired at the booking office window “Are there trains running from here to Cirencester?” Sadly not but there may be a market out there ripe for fulfilling. Sadly many of the arrivals at Kemble station (what a gem!) have no convenient bus connection meaning one has to take a taxi or arrange (if possible) a lift. Sadly we have no realistic option other than to drive from Frome (45 miles 1 hour 15 minutes) as the trains just don’t allow a suitable alternative when we enjoy our days out visiting the town. 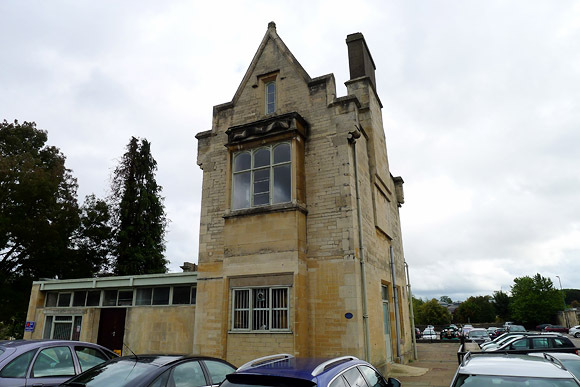 I am pleased to tell you that the Cirencester Civic Society are starting a campaign to “save/restore the Old Station building- 31st May 2016 will be the 175th anniversary of it opening. We have applied to Historic England for it to be graded 2*. 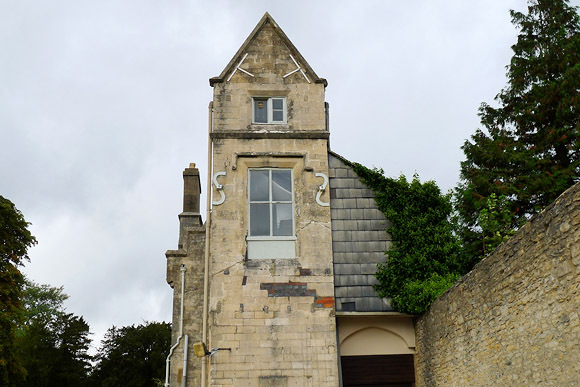 We are also making representations to Cotswold District Council (the owners) to restore it or find a suitable tenant. Watch this space. 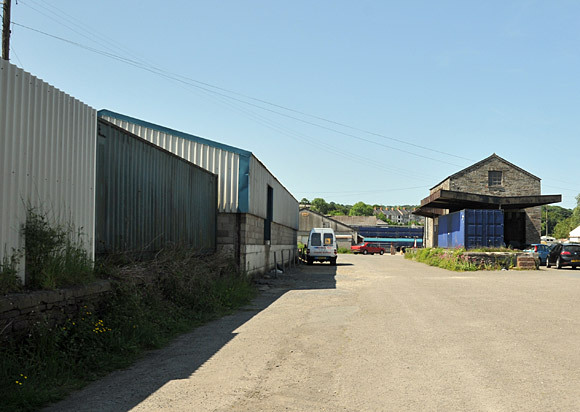 John Tiffney, a suggestion: if thoroughfare could be sorted out from the Brewery Arts area to the station site it could be a more integral asset to the site. 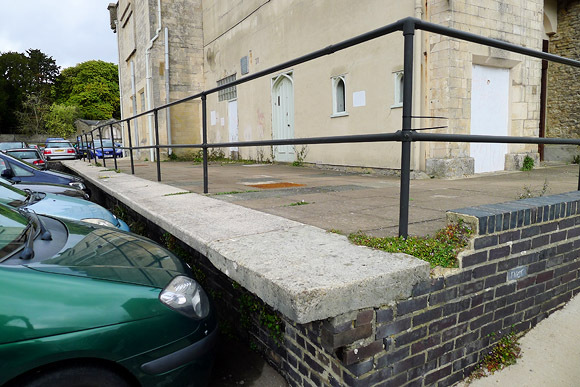 Removal of the 1956 extension, which is plain and out of sorts with the IKB portion, could pave the way to commission of an overall roof design (as originally existed) spanning across from station building to the length of the buttressed wall. 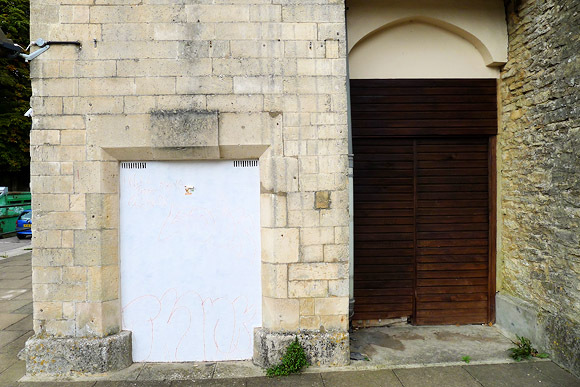 This can relate the mood of a overall station roof of the past but be executed in current lighter materials. The station building will resume it’s sense of balance attached to an overall roof and not seem like a narrow folly. The undercover space resulting will be a provision with plenty of uses: markets, boot sales, concerts (platform remnant as stage). I don’the know the nature of the development taking place currently on the other side of the buttressed wall, where the cranes are, but maybe that could connect through the station area redevelopment also; a corridor of interest, a spur from the town centre. Peter, in my first paragraph I meant to say – ‘integral asset to the town’. There seems to be some talk of a possible reinstatement due to the housing expansion would be nice to see if the finances allow.